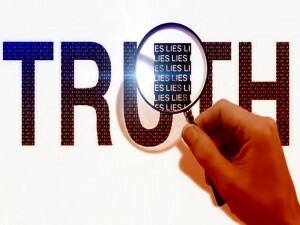 Satyam, truthfulness, means that facts should be presented as they are for the benefit of others. Facts should not be misrepresented. According to social conventions, it is said that one can speak the truth only when it is palatable to others. But that is not truthfulness The truth should be spoken in a straight and forward way, so that others will understand actually what the facts are. If a man is a thief and if people are warned that he is a thief, that is truth. Although sometimes the truth is unpalatable, one should not refrain from speaking it. Truthfulness demands that the facts be presented as they are for the benefit of others. That is the definition of truth. One should not distort the truth for some personal interest. In Vedic literature there are some difﬁcult passages, but the meaning or the purpose should be learned from a bona ﬁde spiritual master. That is the process for understanding the Vedas. Śruti means that one should hear from the authority. One should not construe some interpretation for his personal interest. There are so many commentaries on Bhagavad-gītā that misinterpret the original text. The real import of the word should be presented, and that should be learned from a bona ﬁde spiritual master.